→Postloop Review – Is a Scam or a Legit Content Marketplace? 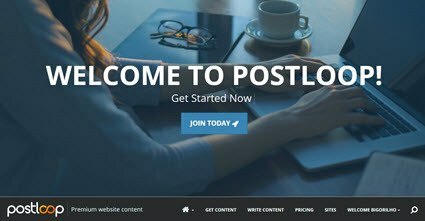 Postloop Review – Is a Scam or a Legit Content Marketplace? However, I can assure you that Postloop is not a scam and that you will get paid for providing your writing services as long as you keep a higher than average rating. In this review, I am going to explain how Postloop works and how much money you can make. By the way, if you want to learn the proven method that earns $1,000+/mo from my laptop, check out my #1 recommendation. Postloop is a marketplace that connects writers with website owners who need quality content for their blogs and forums. If you are interested in making some extra cash online and you have a good command of the English language, Postloop is an option for you. But don’t expect to earn a lot of money as the pay rate is very similar to that of online survey sites. You can choose a topic of your interest. Work at your own pace – You have control over how much you earn per day. The minimum withdraw is just $5. You can write as many posts as you want. In order redeem your Postloop points, you must have a rating that is better than the average of all user, which is around 3.95 out of 5. The registration is free, but in order to start writing and earning points, you must first submit 10 trial posts to the Postloop Portal. Simply select 10 threads that most appeal to you and leave your comments there. The staff will then review your posts within 24 hours and decide if your content meet their quality expectations. If you are rejected, you will have a chance to reapply, but only if the quality of your posts is not considered too low. Once your account is approved, you will be free to subscribe to any website in the portal and start posting. The forum owner will give a rating (from 0 to 5) to your post based on its grammar, spelling, length, etc. It’s very important to strive to write the highest quality posts as your overall rating will determine which forums you will be allowed to subscribe to and how many points you will earn. The higher your overall rating, the more points you will receive per post. Besides, you can only redeem your points for cash if your rating is higher than the average of all users. Before you start posting, you need to subscribe to the website you want to contribute to. By clicking on “Write Content” in the menu, you will see a list of all the active sites. If your rating is good enough for a given site, there will be a +subscribe link. Click on that, and a window will pop up showing all the rules that you should follow. After you read all the instructions, open another browser tab and create an account with the website. Then, confirm your account using your email. Next, return to the Postloop’s platform and provide your account details such as email and username. Done! You are now free to post and earn points. Usually, you should aim to write relevant posts of more than 3 lines. Other common requirements include posting new discussions, avoid repeatedly posting on the same thread and focusing on specific subjects. IMPORTANT: Not following the instructions can get you banned not only from that specific site but also from Postloop itself. 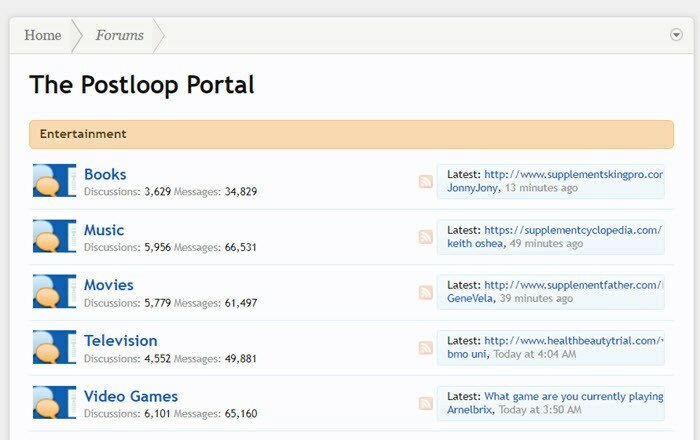 The great thing about Postloop is that there is no limit to how many posts you can write. So, how much you earn per hour depend mainly on how fast you write posts. The downside is the low pay rate! According to the FAQ, the average payment is just $0.07 per post. I was reading a testimonial in a Reddit thread of a user who spent 8 hours to make $5. A guy in another forum said he has to work around 4 hours to write 20-30 posts in return for $5. That is extremely low, even for countries where the dollar is strong. Another way to make money is by inviting other people to join Postloop, who become your referrals. You will get 20% of all your referral earns for life. You can request your payment via PayPal once you reach $5 (100 points). Conclusion – Is Postloop a Scam? No. Postloop is a legitimate website but the pay rate is extremely low. Expect to earn much less than the minimum wage, even if you type in extremely fast. That is because writing relevant and quality content also requires some reading and creativity. At the end of the day, only you can decide if Postloop is worth your time and effort. If you want to make money as a content creator, I highly recommend you create a website and be your own boss! I think there is nothing better than that because it’s possible to make significantly more money! For example, this blog of mine generates over $1,000 per month even if I am not actively working during a particular month. This means I can take as many vacations as I want throughout the year and the money will keep pouring in as passive income. That is because my site is online 24/7 attracting visitors, generating affiliate commissions and ad revenue. Instead of creating content for other website owners, I am writing for myself and growing my own internet business. It’s not difficult to set up a blog these days as it doesn’t require coding or advanced tech skills. However, there is a learning curve ahead and you will need to understand how to build your brand, attract visitors, monetize your site and other things. There is so much to learn and so many opportunities as an internet marketer. I started as a complete newbie, but thanks to this thorough step by step training and supportive community created by Kyle and Carson, I learned the ropes. For more information on this program, read my full review here. Thank you so much for reading this Postloop review. If you have any questions, please let me know in the comment section below.